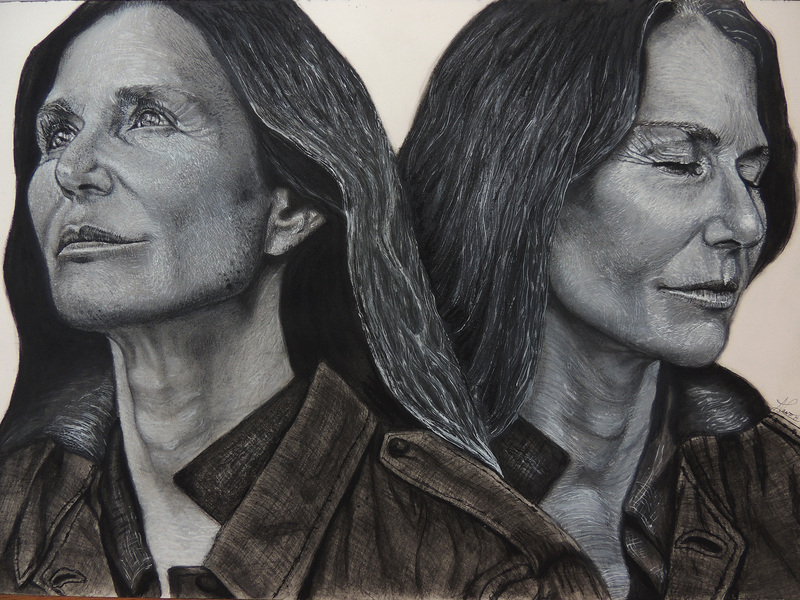 Philosophical Portraiture: Courage and Nobility – Andrew James Taggart, Practical Philosopher, Ph.D.
About a month ago, Aleksandra completed a philosophical portrait of a woman who is seeking to live the life of a modern mystic (below). In her work on philosophical portraiture, the claim Aleksandra wants to make is that she is not rendering the subject in a too literal form of mimesis as if the photograph of the subject were simply being reproduced in the form of a portrait. To do that would be to assume that the living subject has already, as it were, been transformed or is already finished. Rather, her claim is that philosophical portraiture is a spiritual exercise–both in its activity and in its production–in drawing out what is potentially good and beautiful in the subject but has yet to be fully realized. Specifically, which virtues have yet to be brought out, and how would it be possible–indeed, how best–to do so? In the original photos, the subject on the viewer’s left showed a touch of timidity while the subject on the viewer’s right was slightly discomposed, flinchingly discomposed. What had to be revealed or realized, therefore, was courage in the face of hardness and hardiness (left) as well as a noble composure in view of her own death (right). I suppose there lies, in the background to this particular work, one of Aleksandra’s larger themes: what, in the present time, does it mean to age well and to live and die nobly?